Joss Whedon. I’ll be the first person to admit that he’s talented and has a certain charm. However, I’m not a card-carrying Whedonite. I adore Firefly and Dr. Horrible, but can’t stand Buffy, Angel or Dollhouse. His run on Astonishing X-Men was good until the big reveal, and then it lost me. I definitely don’t hate the guy’s work, but he isn’t a lock for me…until 2012. 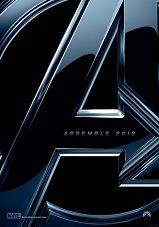 Between Cabin In the Woods and now The Avengers, I’m 100% sold on the man. I might not love everything he does, but I’m guaranteed to at least give anything he does a shot. online pharmacy cialisref=”http://www.screengeeks.com/2011/09/02/film-review-seven-days-in-utopia/” target=”_blank”>Seven Days In Utopia, I really couldn’t blame any Christian filmmaker for banning me from seeing their film in a preview capacity. Hopefully through the frustration and anger came the true point. I’ve spent my life being told Christian films are good because they talk about Jesus and are always rated PG at worst. I’ve always been of the opinion that Christian films need to relate to a non-Christian audience as well as a Christian one. When Pete’s Dragon is a darker movie than most films coming out of Christendom, we’ve got a problem. 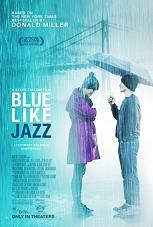 It’s this lifelong frustration that’s made me fall in love with Blue Like Jazz like I’ve never loved any other film from a Christian filmmaker before. This week, we talk about the films we’re looking forward to seeing in 2012. Show notes are after the break. that the USA is becoming more polarized in terms of politics every day. Every day, we’ve got Republicans blaming Democrats for the state of the economy and Democrats blaming Republicans. Both sides say the other refuses to compromise. In this day and age, who’s at fault? 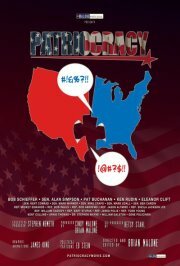 Patriocracy dares to dig into the issue and come back with the truth. Both sides are at fault. That’s easy to say, but how do you show it? quite difficult to pull off. At a runningtime usually under 20 minutes,the film has to get to the storytelling immediately, get you invested in the characters quickly and tell a story leaving you satisfied before the credits roll. This is the first short film I’m covering for the 2011 Starz Denver Film Festival. Terrebonne is the story of a college student (Dean J. West) visiting a young boy named Fry (Cullen Chaffin) who claims to have seen an incredibly rare ivory-billed woodpecker. The boy’s sister, Jean (Jessica Heap) decides to go with them into the bayou to find where the boy saw it. While on the trip, Jean’s embarrassing past comes to light. The films ends at a nice point that leaves you satisfied, while still wanting more.